Free parking: Park in lot north of Warnock Bldg or MEB parking lot. Abstract: In this talk I will describe how I got to Utah in 1974 and what it was like being there, both in the CS department and in other extracurricular activities. It will be a tale of incredibly lucky timing and the art of being prepared to take advantage of it. 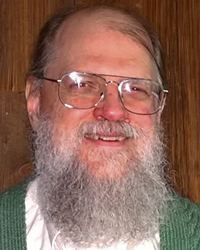 Bio: Jim Blinn made his first computer generated pictures in 1968 while an undergraduate at the University of Michigan. From 1974 to 1977 he was a graduate student at the University of Utah where he did research in realistic rendering. The results of this research have become standard techniques in today’s computer animation systems. They include realistic specular lighting models, bump mapping and environment/reflection mapping. In 1977 he received a Ph.D. and moved to the Jet Propulsion Laboratory where he produced computer graphics animations for various space missions to Jupiter, Saturn and Uranus. These animations were shown on many news broadcasts as part of the press coverage of the missions and were the first exposure to computer animation for many people in the industry today. Also at JPL he produced animation for the PBS series COSMOS and for the Annenberg/CPB funded project “The Mechanical Universe”, a 52 part telecourse to teach college level physics. During these productions he developed several other standard computer graphics techniques including work in cloud simulation and a modeling technique variously called blobbies or metaballs. From 1989 to 1995 he worked at Caltech producing animations to teach High School mathematics for “Project Mathematics!” From 1987 to 2007 he had a regular column called Jim Blinn’s Corner in the IEEE Computer Graphics and Applications journal where he described mathematical techniques used in computer graphics. These have been collected into three books. From 1995 to 2009 he worked at Microsoft Research as a Graphics Fellow developing a new mathematical notation scheme that greatly simplifies the algebraic description and manipulation of curves and surfaces. He is currently retired. Abstract: As an entrepreneur who started a EdTech SaaS software company, grew it to 150 employees and successfully sold it, Jeanette will reminisce on the four fundamentals for starting and running a technology start-up. The discussion is based on personal experience and ideas learned over a 17 year history and how the same fundamentals are now being deployed in her new company endeavor in the FinTech AI space. Bio: Jeanette Haren founded Truenorthlogic in 2000 and has spent the last 16 years working directly with leading school districts across the country to define and develop professional growth systems to meet K-12 specific needs. Under Jeanette’s leadership, Truenorthlogic created a one-of-a-kind comprehensive approach to support the cycle of continuous educator improvement and its connection to student achievement. She has decades of experience leading teams in the design, implementation and deployment of education software. 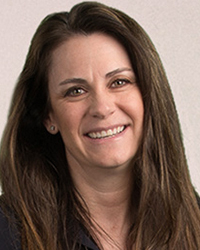 Prior to Truenorthlogic, Jeanette was director of product architecture at Campus Pipeline and software development manager at Utah Education Network. Jeanette graduated with a B.S. from the University of Utah. Abstract:Artificial Intelligence has seen a resurgence of interest in the computer industry as Deep Learning-based approaches have revolutionized computer vision and other recognition problems. More recently, image-synthesis approaches have used deep learning for image restoration and style transfer. This field is beginning to change a number of data intensive industries, but can it change the world of Computer Graphics? We introduce key concepts in Deep Learning and show recent use highlight it’s use in content creation, animation and rendering. 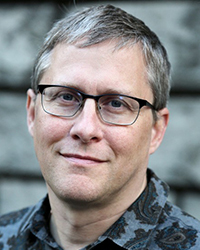 Bio: Dr. Steven Parker is VP & CTO of Professional Graphics at NVIDIA Corporation, where he holds responsibility for professional graphics hardware and software. Combining a history of ray tracing, rendering and high-performance computing, Dr. Parker is focused on bringing physically-based rendering systems to interactive applications. 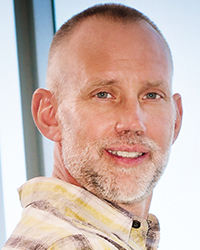 Bio: Since 2000 Ross Whitaker has been at the University of Utah where he is the Director of the School of Computing and a faculty member of the Scientific Computing and Imaging Institute. He is an IEEE Fellow. He teaches discrete math, scientific visualization, and image processing. 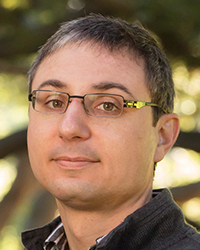 He has leads graduate-level research group in image analysis, geometry processing, and scientific computing, with a variety of projects supported by both federal agencies and industrial contracts. Abstract: Software layers accumulate over time, oblivious to the changes in the hardware below them. Today’s data centers are radically different environments than the ones that dominated when the operating systems that run them were written. In this talk, I discuss how software limits data-intensive applications in the data center today, how state-of-the-art research has eliminated those overheads, and the benefits that might come from eliminating these overheads. State-of-the-art networked services can be more than 10,000x faster than is common today: they can move terabits of data each second with inter-machine access times of a few microseconds. Finally, I will conclude a discussion of the challenges and limitations that stand in the way of applying this research in practice, and the new challenges that will arise when networked system performance increases by many orders of magnitude. Bio: Dr. Ryan Stutsman received his Ph.D. from Stanford University. Dr. Stutsman’s interests are in large-scale storage and database systems; his work focuses on software that leverages scale to improve the performance, efficiency, and reliability of systems comprised of massive numbers of machines. Overall, his work on distributed in-memory storage seeks to fuel the next generation of data-intensive real-time applications. 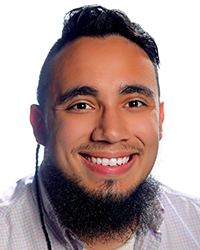 Bio: Dr. Rogelio Cardona-Rivera received his Ph.D. from North Carolina State University. Dr. Cardona-Rivera’s research focuses on the design of interactive narratives, systems where users direct an unfolding story by taking on dramatic roles. Broadly speaking, he argue’s that the process of design requires computationally modeling our human narrative intelligence: our unique capacity to interpret stories and use them to understand the world around us. His work involves synthesizing, designing, developing, and experimentally evaluating intelligent artifacts that codify aspects of how we imagine ourselves acting within narrative environments.